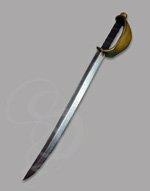 LARP Corsair Dagger (Foam, Latex and Fiberglass Core) - this item is discontinued, priced to sell!! There's a pirate in each of us, and right now, he's screaming for this corsair dagger. 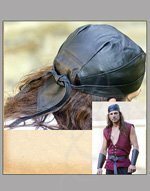 The Corsair Pirate dagger features an awesome, embelished swept basket-hilt. This is about as dashing a pirate dagger as you can get, especially at this price range. 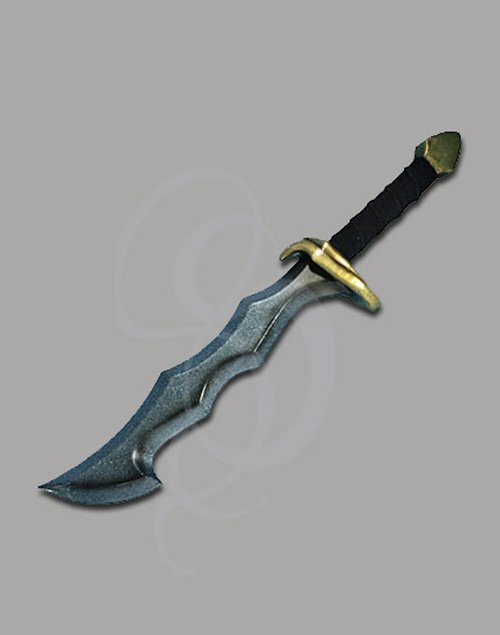 This type of dagger would have been perfect for ship-based, ideal for hacking bodies, ropes, foilage or that annoying parrot on the captain's shoulder. This pirate dagger is a must have for anyone flying the skull and crossbones. Arrrrrr. Maintenance: We recommend that all latex weapons be treated occasionally with a silicone lubricant, like the one available below. The lubricant keeps the latex from drying out over time. It also allows for more realistic sliding of weapon against weapon. This item is part of our Epic Armoury line (see below for more info on Epic Armoury). This item is a part of our Epic Armoury collection. Epic Armoury LARP swords are rugged, comfortable and beautiful. They are made with some of the toughest foam on the market and coated with a dynamic layer of durable latex. The foam used is a closed-cell type of material that don't shred with heavy use like some other foam swords. Each weapon is cored with a strong and flexible fiberglass rod that allows for excellent transfer of power during swings. The core is swaddled in layers of soft foam to make every blow a safe one. The tips on each of these beautiful weapons is reinforced with a proprietary Kevlar cap that keep thrusts safe and ensures that the sword's tip will not break. These swords provide a fantastic experience for any level of LARPist of sparrer, and the price is reasonable for any budget. Material: Closed-cell foam with dense latex coating. Flexible Fiberglass Performance Core.